After winning the first T20 by 28 runs, India lost the 2nd match by 6 wickets. 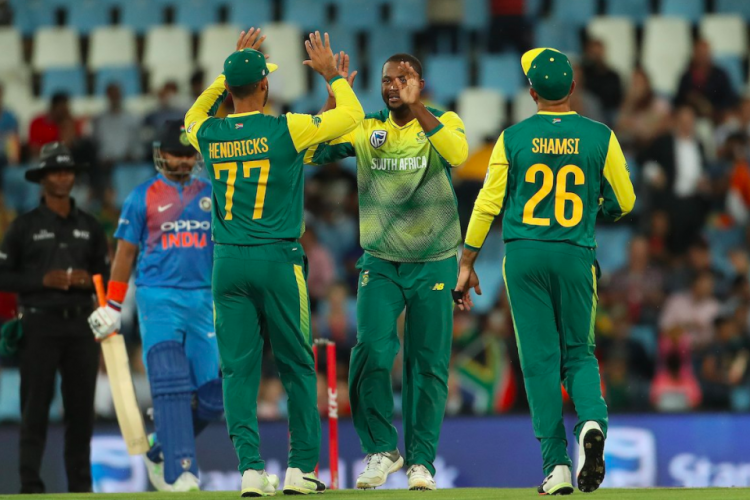 Manish Pandey and MS Dhoni guide India to put 188 runs on board but Klaasen's first T20 fifty empowers SA to bounce back in the three T20I match series and JP Duminy becomes leading six-hitter(62) for SA in T20I. However, Yuzvendra Chahal becomes leading Indian to conceded most runs (64 runs) in a T20I match. SA now levels the series at 1-1.